South Pasadena restaurants will provide samples of their fare and support a nonprofit service organization on Tuesday, April 16, when its hosts the 8th annual Taste of South Pasadena. 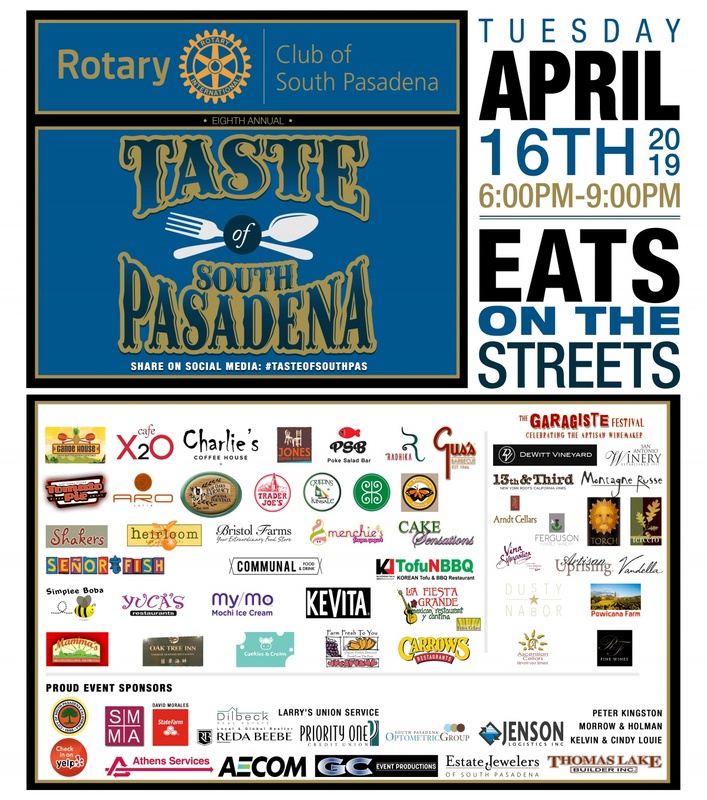 Presented by the Rotary Club of South Pasadena, eateries throughout the city’s downtown will allow guests to sample food from 6 to 9 p.m. as they take part in the popular fundraiser. 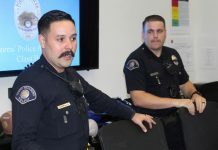 Participants will be given a wristband, allowing them to visit participating restaurants along Fair Oaks Avenue and Mission Street in the city. 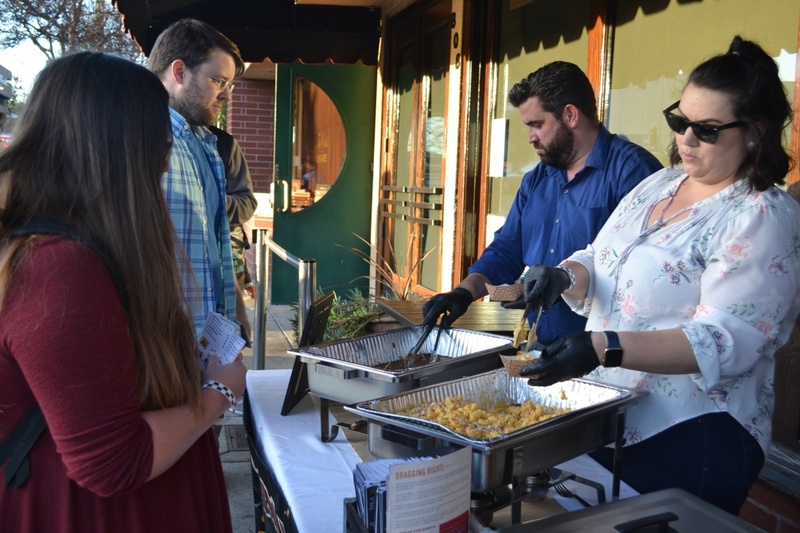 In 2018, nearly 30 restaurants and 10 craft wineries took part in the event, which organizers say drew more than 1,100 people. 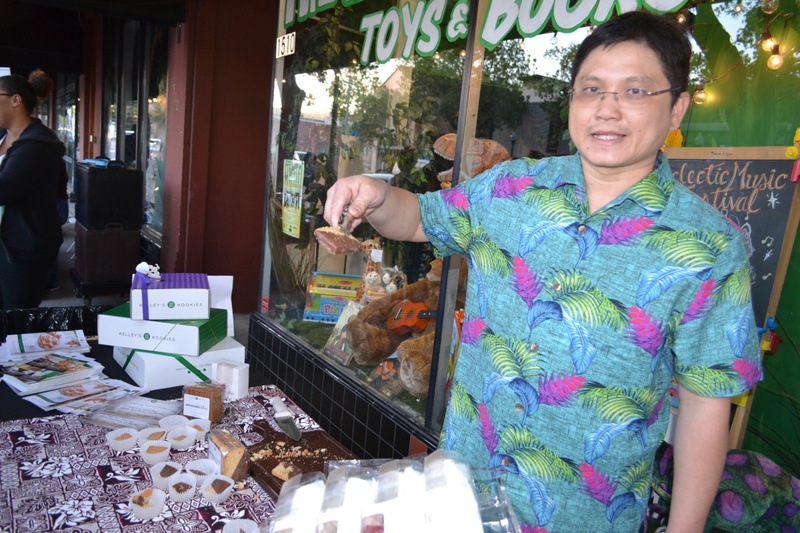 PHOTO: Alisa Hayashida | SouthPasadenan.com | Kelley’s Kookies garnered a long line for their delicious cookies! 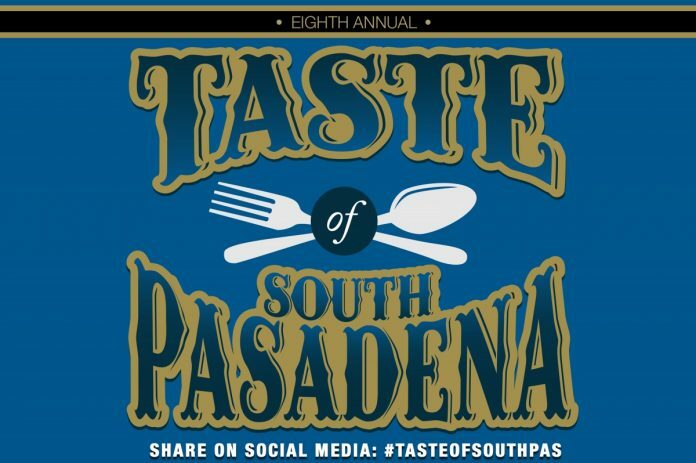 Home base for The Taste of South Pasadena is at the Canoe House, where a wine tasting (additional cost) and live music will fill the air. Food wristbands ordered in advance are $35 for adults, $15 for children ages 7-18. Children under 7 are free.